As the science of hair loss evolves, the treatment of hair restoration becomes increasingly advanced. Medical hair restoration and hair restoration surgery have progressed over prior decades to now yield effective and natural outcomes. Surgical hair loss correction is now commonplace and predictably successful. The primary remaining obstacle to hair loss correction nowadays, is general lack of awareness of available options for management. In addition to FDA-approved and extensively studied medications used to sustain and even grow hair, the world of surgical hair restoration has evolved significantly and is available for the vast majority of patients. Historically, hair restoration surgery has progressed from large rotational flaps, to hair “plugs,” to mini-grafting, to micro-grafting, and then to contemporary follicular unit techniques. Follicular unit transplantation involves transplanting hair follicles and their associated subunits as small anatomic entities for the most natural appearing results. Follicular units can be extracted either individually (FUE/FUT), robotically (RFUE/RFUT), or as a linear strip with a hidden incision. Dr. Sparano and his hair transplantation team utilize all techniques for surgical hair restoration, operating at precise robotic or microscopic levels. Just as in facelift and rhinoplasty surgery, which technique is used is dependent upon starting point variables and the goals of surgery. Dr. Sparano is proud to offer the ARTAS System - the FIRST and ONLY ROBOTIC HAIR TRANSPLANT System. Robotic follicular unit transfer techniques allow for precision, programmability, healthy graft harvest, automation, safety, and best of all, scarlessness. Dr. Sparano is one of the first in the region to have studied and perform robotic hair transplantation. His patients travel from all areas of New Jersey, New York, Philadelphia, other regions of Pennsylvania, Delaware, Maryland, and beyond, for robotic hair transplantation. It is an unrivaled and exciting surgical modality producing exceptional results. Dr. Sparano creates the surgical plan with a specific one-hair, two-hair, and multi-hair design using precise estimations in specified locations with intricately organized orientation and an individualized recipient site design. In certain circumstances he utilizes di-follicular units (DFU) and multi-follicular units (DFU). Dr. Sparano and his team perform only one robotic hair transplantation surgery per day to ensure uncompromised attention to detail by every member of the hair transplantation team. Dr. Sparano believes this is important! This methodology sets each patient up for a successful outcome in a customized fashion. Furthermore, the technique can be performed comfortably using local anesthesia with light oral sedation. Dr. Sparano believes robotic hair transplantation will pave the way for increased exactitude with regard to extraction and implantation techniques, as well as programmability and precise estimation of outcomes. The level of sophistication of the robot already exceeds anything we've seen on the market over the prior decades. Furthermore, the robot and associated software are becoming increasingly able to afford intricately customized results for any given patient and surgical challenge. As this helps the science of hair transplantation, it also helps the art of it. Performing hair transplantation is quite gratifying as a surgeon because the techniques are safe and effective, and often induce improved self-confidence for patients. Dr. Sparano’s techniques produce unvarying natural appearing results. Dr. Sparano recalls his own experience with hair loss and the associated concerns he had at the time. Options then were limited compared with the medicinal and surgical techniques available today. Dr. Sparano specializes in all follicular unit techniques, male and female pattern androgenic alopecia, hairline advancement for women, eyebrow transplantation, facial hair transplantation, eyelash transplantation, and scar management with transplantation. Dr. Sparano understands the cost burden often associated with hair restoration. Colinear with the core values of his practice - excellent outcomes and an excellent patient experience, with fair pricing - Dr. Sparano offers competitive pricing even for robotic and advanced FUE/FUT techniques. Dr. Sparano developed an interest in hair transplantation surgery because of its combination of science, surgery, and art. As much as any elective surgery of the face and neck, quality hair transplantation technique requires ARTISTIC SENSIBILITY and careful attention to detail. Dr. Sparano maintains his research interests in robotic hair transplantation. Recently, Dr. Sparano created the New Jersey Institute for Robotic Hair Surgery. 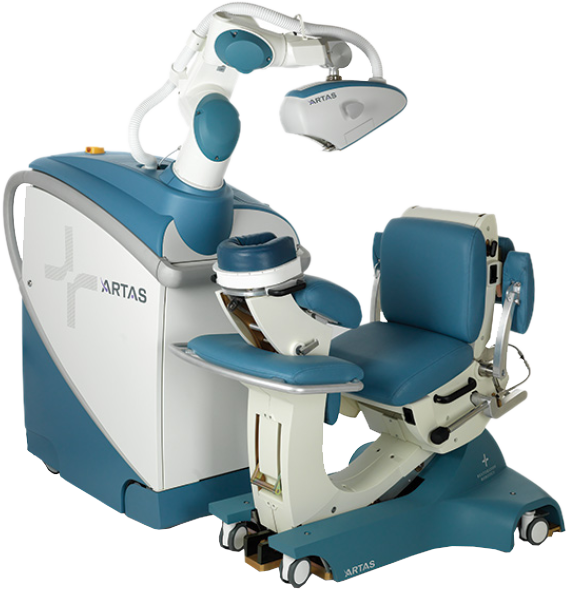 Dr. Sparano regularly uses the Artas robot and associated system for precise surgical planning and execution. 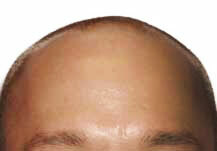 He performs only one dedicated robotic hair transplant surgery any given day. He is the only surgeon in Monmouth County, NJ, and one of a very limited number of surgeons in New Jersey, New York, Pennsylvania, Delaware, Maryland, and regionally to offer robotic hair transplant surgery. 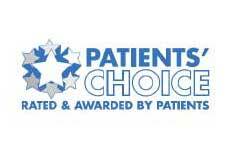 Dr. Sparano believes the best patient outcomes derive from educated patients. Thus, all hair surgical consultations are complimentary, and Dr. Sparano spends a fair amount of time with his patients. The hair surgery schedule is a busy one, so any interested patients are advised to book well ahead of intended dates. Is the transplanted hair permanent? The hair that is transplanted from one site to another does not have the same genetic programming as does the hair destined to fall out. 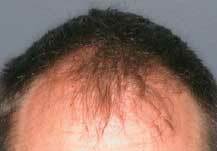 As a result, transplanted hair keeps its characteristics and generally will remain permanently. 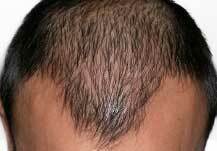 Does hair transplantation appear natural? Yes. The science of hair transplantation has evolved significantly. The current technology allows for the transfer of individual follicular units, which yield a natural-appearing result. Furthermore, because there are no linear incisions along the back of the scalp with robotic hair transplant surgery, the potential for visible scarring is eliminated. Are there visible scars after hair transplantation? There are generally no visible scars associated with the transplanted hair. When a strip technique is used, the site where the hair was harvested is closed using precise plastic surgery methodology and generally heals without a significant scar. When robotic hair surgery is performed, there are no visible scars along the back of the scalp because no long, linear incision is performed. 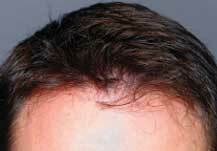 Most patients who even consider medical or surgical hair restoration, are candidates for surgical hair restoration. The most common applications of hair restoration surgery are to treat areas of baldness, increase density in areas of thinning, advance hairlines, rebuild hairlines, treat traumatic alopecia, and restore eyebrows or eyelashes. Both men and women are candidates for hair restoration surgery. Dr. Sparano is very careful about appropriate education and guidance during consultation so that long-term expectations are balanced with short-term expectations and planning. How many transplant sessions will I require? The number of necessary sessions to achieve any result varies between individuals. While many individuals can accomplish the stated goals in a single session, others require 1-3 additional sessions across time. The number of sessions required to achieve a successful outcome is determined by the degree of baldness, amount of donor hair available, and the patient's goals and expectations. Is it possible my hair transplantation will appear as if I had "plugs"? No! The "plug" look is associated with an antiquated methodology that most advanced surgeons no longer use. Current techniques are much more refined and create natural-appearing results. You can plan on being worked on for the bulk of one clinical day. Some transplant surgeries require several hours, most take a full day, and few require 2 staged days. We have optimized conditions to keep patients comfortable throughout the day for longer sessions, and will include lunch and snacks when appropriate. Our technique of light sedation with staged injection of local anesthesia affords a comfortable experience without significant pain. The post-operative magnitude of pain is minimal, and Tylenol/acetaminophen is usually enough to control discomfort. How long is the recovery after hair transplantation? Generally, most individuals can resume their normal routine of activities three days after surgery. Occasionally, swelling of the forehead may last for a few additional days following surgery. Crusting at the donor and transplantation sites usually lasts 5-10 days. How soon after surgery can I wash my hair and return to using my hair medications? The hair can be washed as early as the next day after surgery. This is done by Dr. Sparano’s surgical team. 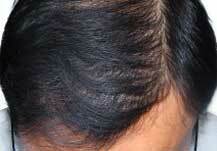 Finasteride (Propecia) can be continued throughout the pre-operative and post-operative period. Minoxidil (Rogaine) is typically stopped 2 days prior to the surgery and resumed 7 days following surgery. When will I be able to enjoy my new hair? For the average patient, the transplanted hair will begin to grow noticeably by 6 months, and can be styled by 9-12 months. Will others be able to notice I had hair restoration surgery? There are often tiny crusts that can be noticed at the transplantation sites for 5-10 days. These can be hidden by surrounding hair or by wearing a hat. How soon can I return to work after hair restoration surgery? Work can be resumed as early as the next day, depending upon the type of work done. Having a few days off from work is generally advised. How soon can I exercise after hair restoration surgery? Light cardiovascular exercise can be resumed 2 days following surgery. Significant exercise can be resumed 10 days following surgery. Dr. Sparano has created an online blog and lecture series called New Jersey Hair Transplantation. His practice is a specialized practice dedicated to the most advanced hair transplantation techniques. 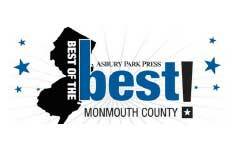 He is one of the few robotic hair transplant surgeons in the New Jersey and New York region. 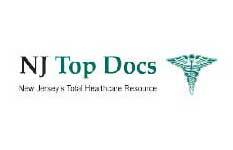 Dr. Sparano is also a NJ cosmetic surgeon who specializes in surgical and non-surgical enhancement of the face and neck. 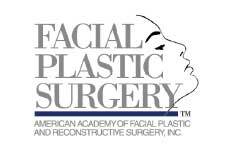 Having a combined cosmetic surgery practice and hair transplant surgery practice in New Jersey allows Dr. Sparano to comprehensively treat the face, scalp and neck. Because of his specialized and Ivy League training, Dr. Sparano takes pride in observing the measures necessary to maintain the highest standards for optimal aesthetic outcomes, for each of his surgical procedures. Dr. Sparano encourages patients to research their surgeon's training and approach to elective surgical procedures. Dr. Sparano invites patients to read his most recent blog posts - Hair Transplant NJ and Robotic Hair Transplant NJ.